We all practically lost it after Luke Benward dropped a major hint that he might be playing John Ambrose in the upcoming To All The Boys I’ve Loved Before sequel. And now, the actor has finally spoken out about the rumors. Um, can we all take a moment to try to imagine how epic it would be to see Noah Centineo and the Dumplin’ hottie together on-screen? Ugh, it seriously seems too good to be true. 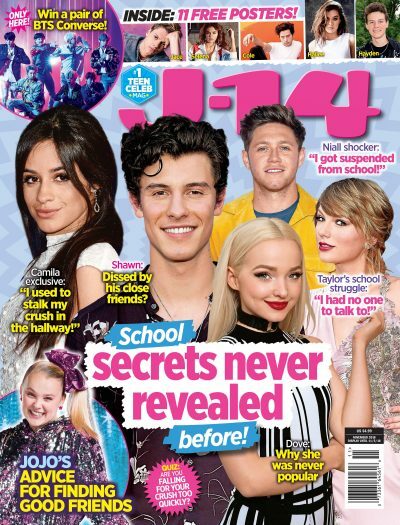 As J-14 readers know, speculation first started that he might star in the sequel after he commented “Hmmmmmm” on Seventeen Magazine‘s post about who might star as John. It quickly sent fans into a frenzy, but unfortunately, it was just a false alarm. Ugh, Luke, you cannot play with our emotions like that! In case you forgot, in the first movie, Lara Jean Covey wrote five letters to boys she used to love — one which was returned to her house since it was addressed to her camp, and three that got delivered to the boys in her school. But what about that fifth letter? In the film, Lara Jean explained that the final boy she wrote a love note to was John Ambrose McClaren, who she met at Model UN, so he didn’t live in her town. But the Netflix rom-com ended with him showing up at her door, flowers in hand, ready to stir up some drama. We went ahead and made a list of our top picks for the role, which you can vote on here. Guess we can cross Luke off the list! Are Olivia Holt and Luke Benward Done for Good?